A U.S. Navy vessel collided with a merchant ship southwest of Yokosuka, Japan, on Friday, and officials were trying to determine whether everyone is accounted for and the extent of the injuries. Some flooding was reported aboard the USS Fitzgerald, a 505-foot destroyer, after the collision with a Philippine container vessel at approximately 2:30 a.m. Saturday local time (1:30 p.m. 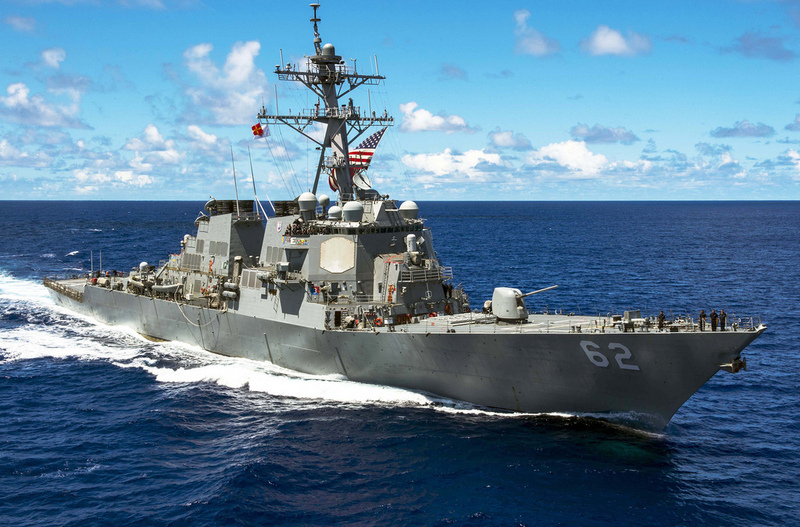 ET Friday), about 56 nautical miles of Yokosuka, the U.S. 7th Fleet said. There are no indications that any U.S. sailors went overboard during the incident, although officials don’t yet have a full accounting of all sailors who were on board, two defense officials said. 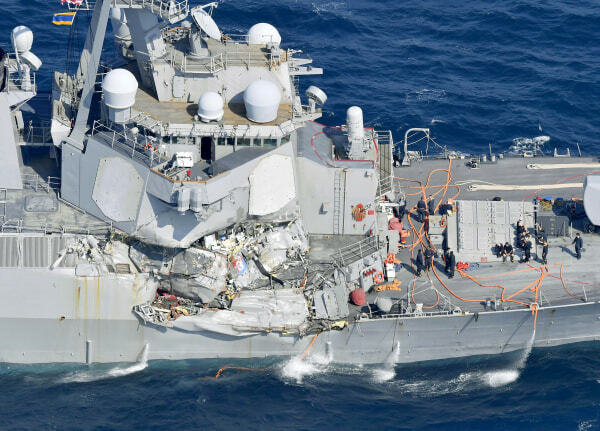 “The extent of number of personnel injuries is being determined,” the 7th Fleet said in a statement. The Navy was working with the Japanese Coast Guard to conduct a medevac for one sailor, the Fleet said. A U.S. Navy official said naval officials are aware of a report by Japanese broadcaster NHK that said seven sailors from the Fitzgerald were unaccounted for, but do not know if that is correct. NHK cited the Japanese Coast Guard in its report. The 7th Fleet said the Fitzgerald experienced some flooding but continues to operate under its own power although its propulsion is limited. “The full extent of damage is being determined,” The Fleet said. 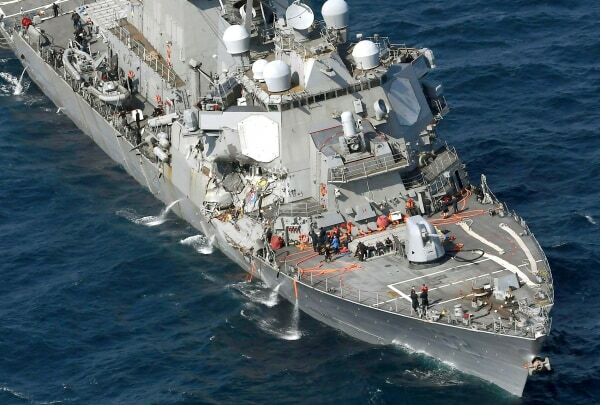 The Fitzgerald suffered damage to its starboard side above and below the waterline, the Fleet said. A U.S. Navy official said the bridge was damaged in the collision so communication with the ship is limited and difficult. “US and Japanese support from the Navy, Maritime Self Defense Force and Coast Guard are in the area to ensure that the Sailors on USS Fitzgerald have the resources they need to stabilize their ship,” Admiral John Richardson, chief of naval operations, said in a statement. The U.S. Navy official said the ship was conducting routine operations in Sagami Bay when the collision occurred. “As more information is learned, we will be sure to share to it with the Fitzgerald families and when appropriate the public,” he added. The Navy said in a statement that it had requested the help of the Japanese Coast Guard in response to the collision. The USS Dewey and Navy tugs were being dispatched to help, and Navy aircraft were being readied, the Fleet said.